Welcome to Jungle World theme park and zoo. Ayub National Park, is situated on the main Grand Trunk Road (extension of the mall), in the city of Rawalpindi, barely 4kms from GPO (city center). It is surrounded by Rawalpindi Golf Course and major residential areas including Defense Housing Authority. Almost all vehicular traffic going north or south of Rawalpindi passes on G.T Road in front of Ayub National Park. Jungle World Rides & Zoo. 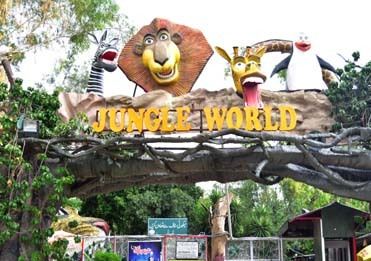 The Jungle World Theme Park consists of two inter connected facilities - family Amusement Park and Zoo. Family Amusement Park. 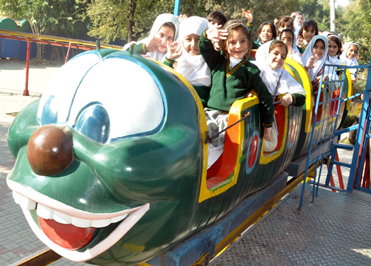 The Family Amusement Park provide an environment where complete family get involved, whether it is 18 hole Mini Golf Course or thrilling rides like Time Shift Machine, Simba Tower , Giant Wheel, Dodgem Cars, Tea Cups, Hully Gully, Miami Ride, Paddle Boats and MonoTrain etc. In addition; “Mystery House” takes you through a mysterious and frightful exploration 10 mins walk / trip. Besides; children can enjoy riding on miniature horses apart from having photography with tamed Macaws and colorful Parrots. Zoo. 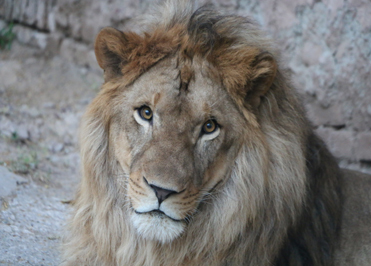 The Jungle World has the biggest Zoo in the twin cities of Rawalpindi-Islamabad where wildlife species are kept in large and open air enclosures close to nature. Some of the prominent animals are White Tiger, Bengal Tigers, African Lions, Bears, Puma, Monkeys, Baboons, Vervet, Zebras and variety of Deers. In addition; variety of birds brought from all over the world like Pheasants, Peacocks, Parrots, Ostriches, Emus, Black Swans, Pelicans, Ducks etc adds beauty to zoo and interest of the visitors.